If you've been in touch before please reach out to the last person who advised you. If you can't remember who that was or haven't seen us before we'll assign you one of our friendly advisers. You can get in touch using whichever method below is most convenient. Send us an email with your details and your query, one of our advisers will get back to you as soon as possible. Call up and ask to speak with an adviser. If there are none available, leave your details and we’ll call you back. Come to a drop-in session and speak to an adviser. Bring any relevant documents. Very occasionally we have to cancel a drop in session so if you have far to travel, we suggest giving us a call before you set off. The Arts SU Advice Service will be at each college campus every week of term from 1st October 2018. You can speak to an adviser there and then or arrange an appointment if your query is more complex. 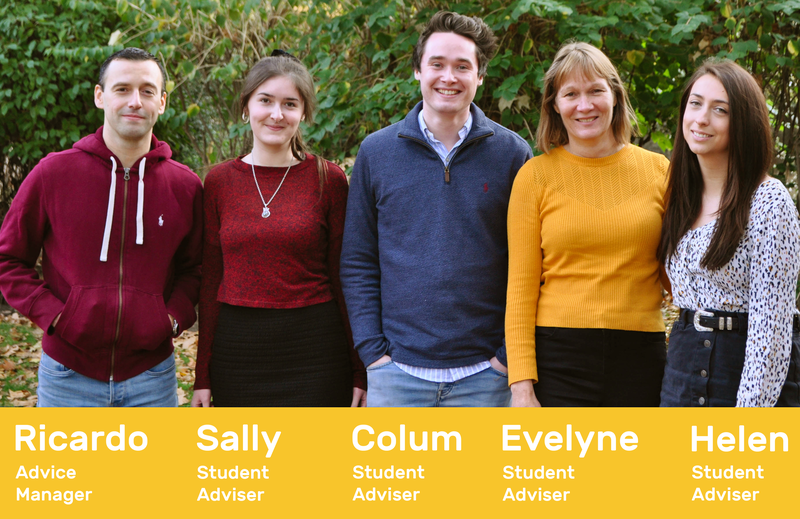 You can book an appointment, by phone, email or by contacting a Student Adviser directly if you have already accessed our service. Appointments can normally be accommodated between 8am and 6pm, either in person or over the phone.